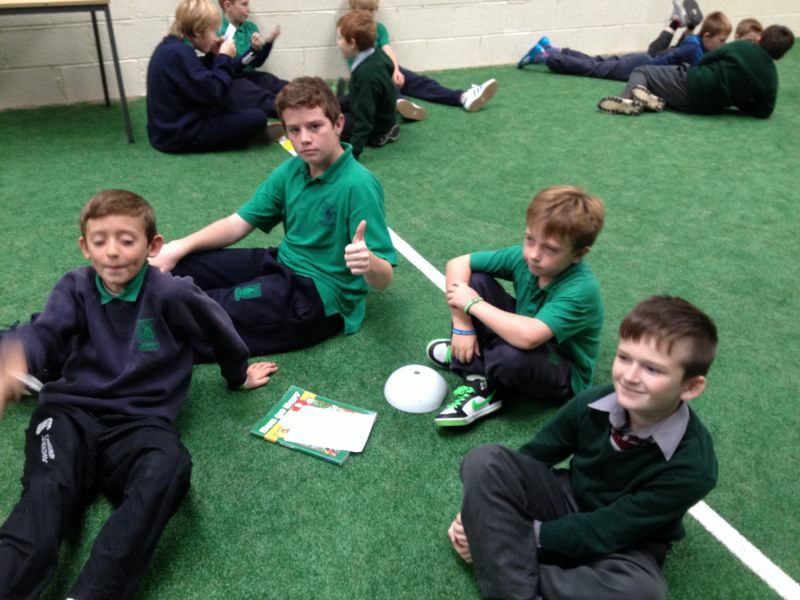 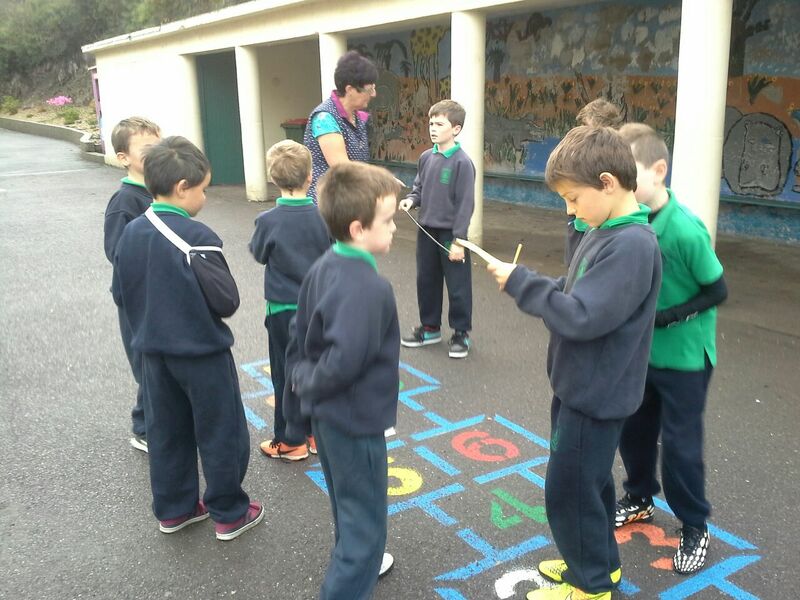 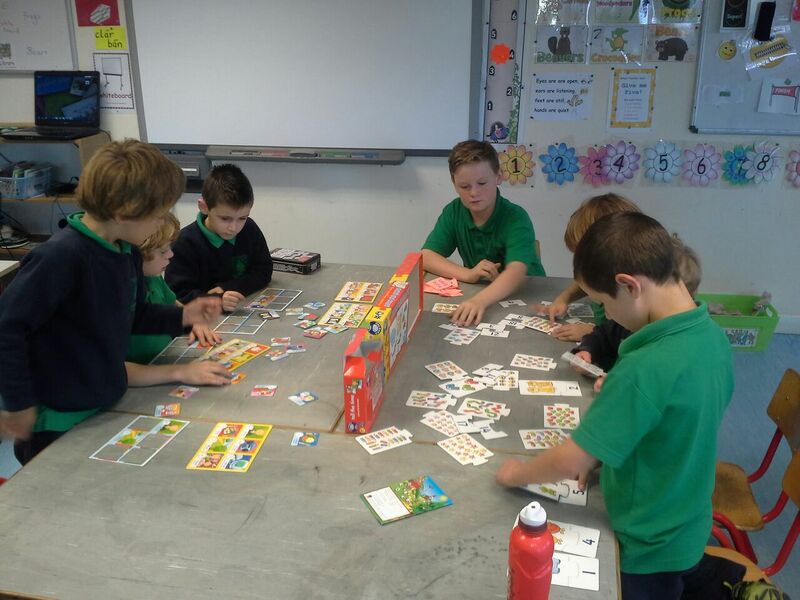 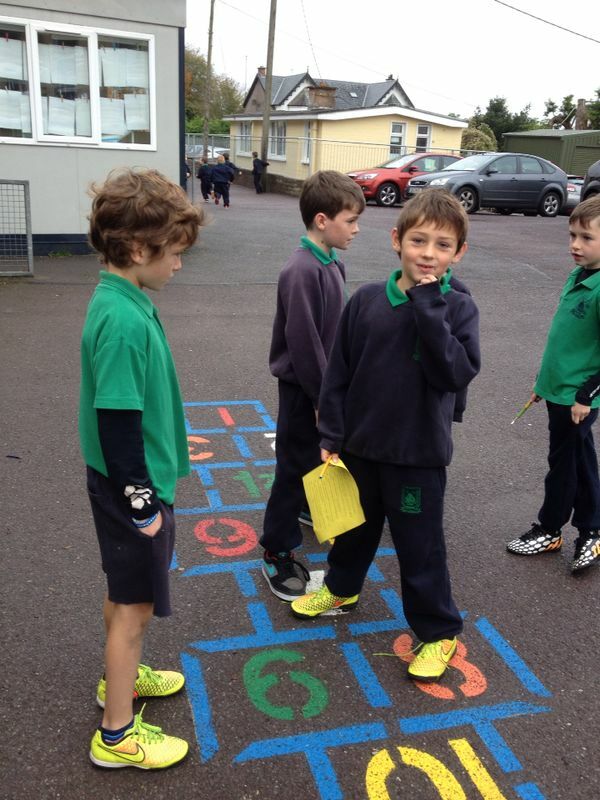 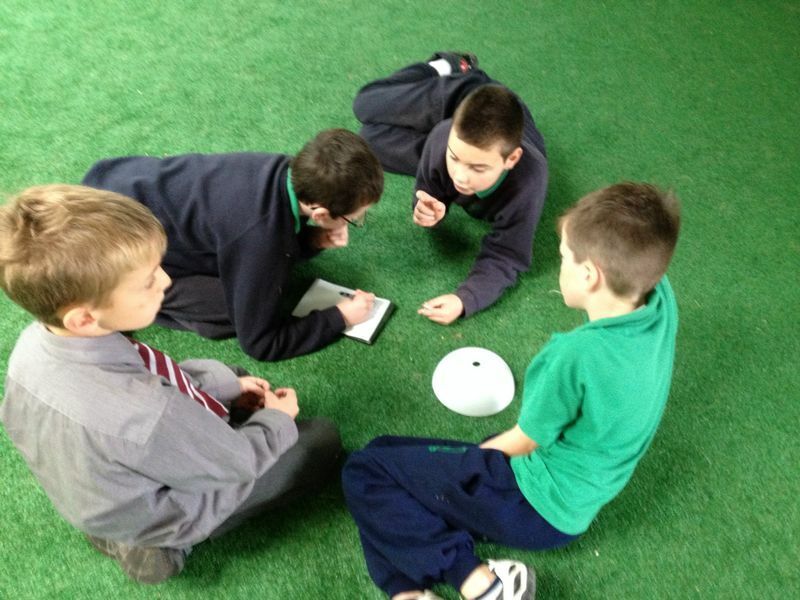 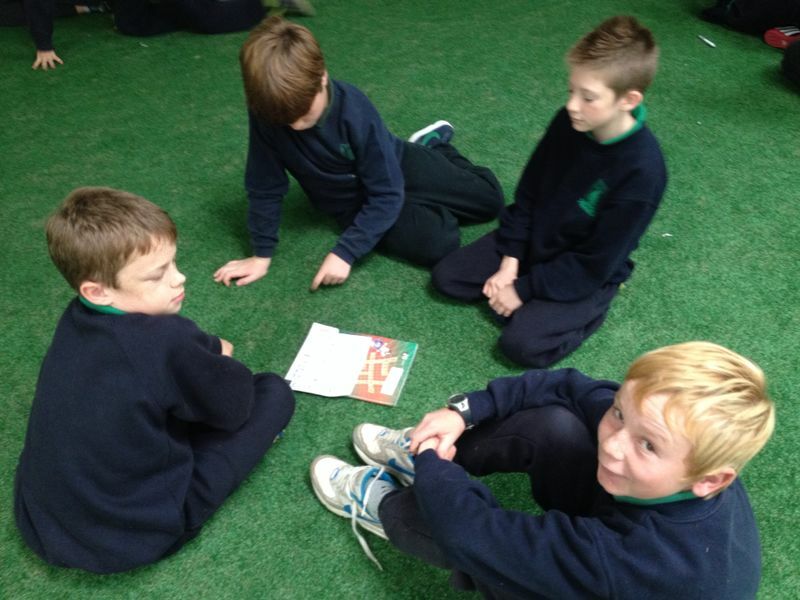 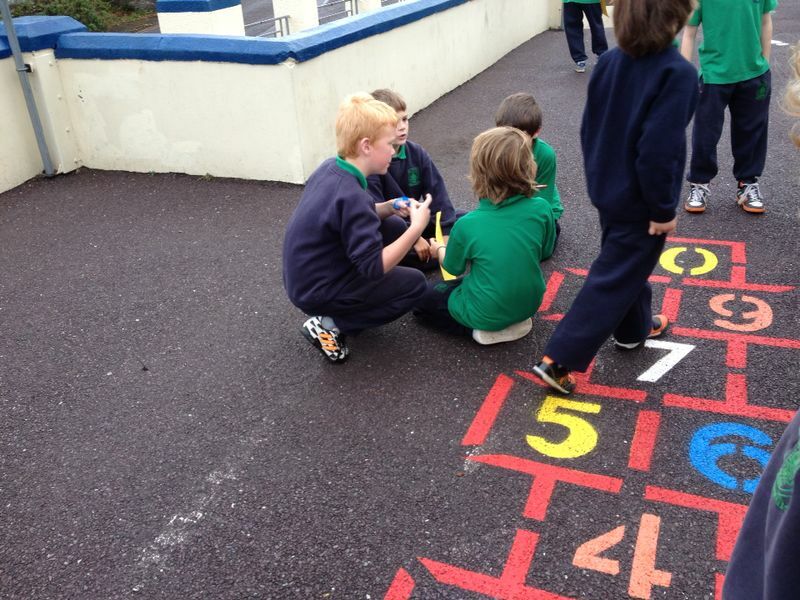 We’ve had a very busy week in Scoil Chros tSeáin as we took part in Maths Week 2014. 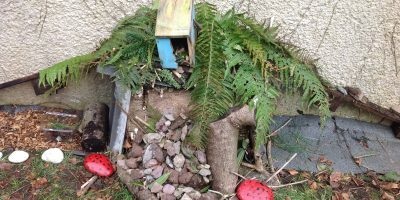 We started off with a coin trail in the yard. 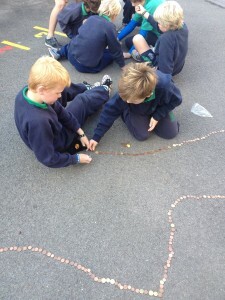 All classes participated and made a trail of coins around the school. 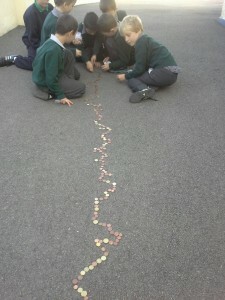 The sixth class boys collected all the money and counted it. 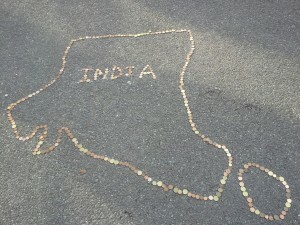 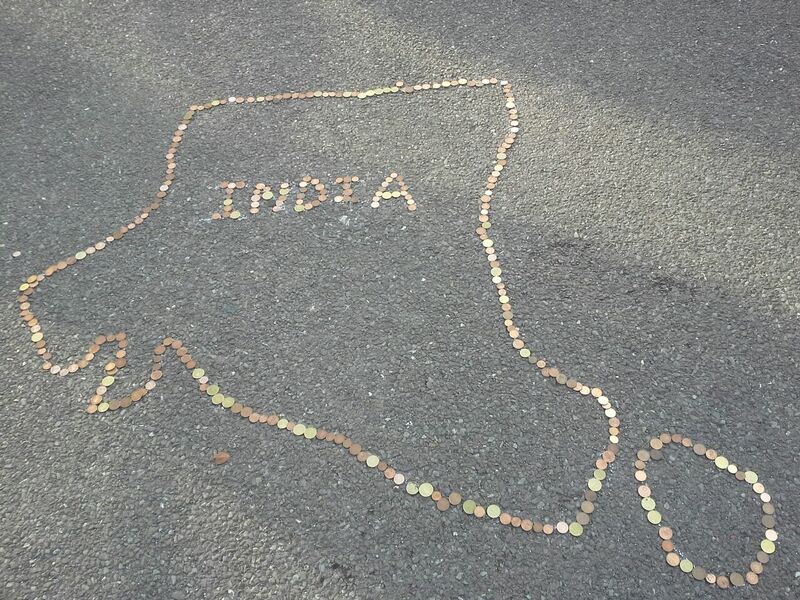 The content of the trail was donated towards helping street children in Bangalore in India. Thanks to all the boys who donated so generously. 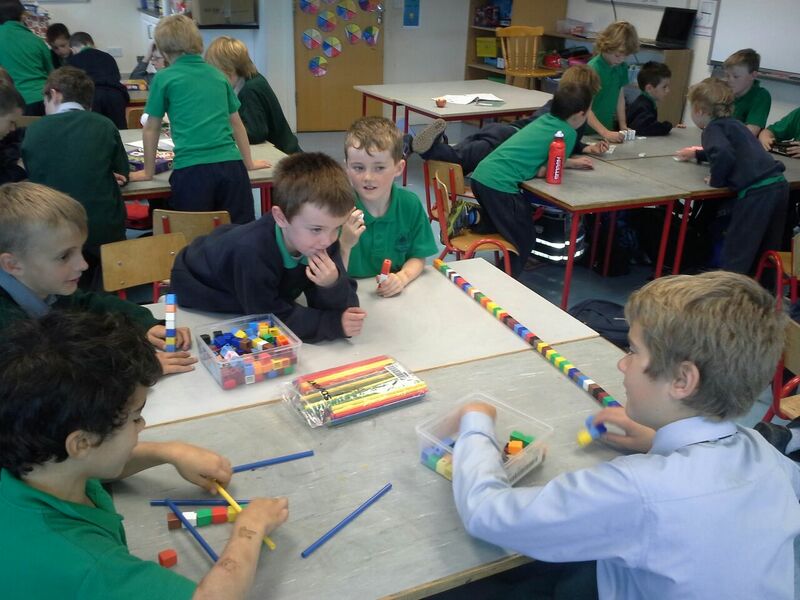 Junior and senior infants had fun in the resource room working at various maths stations while first and second went on a maths trail. 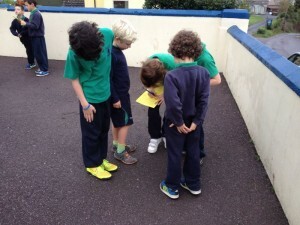 Third to sixth classes tried out maths puzzles at home and topped off the week with a table quiz in the hall on Friday. 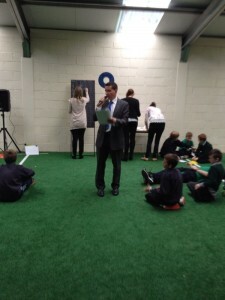 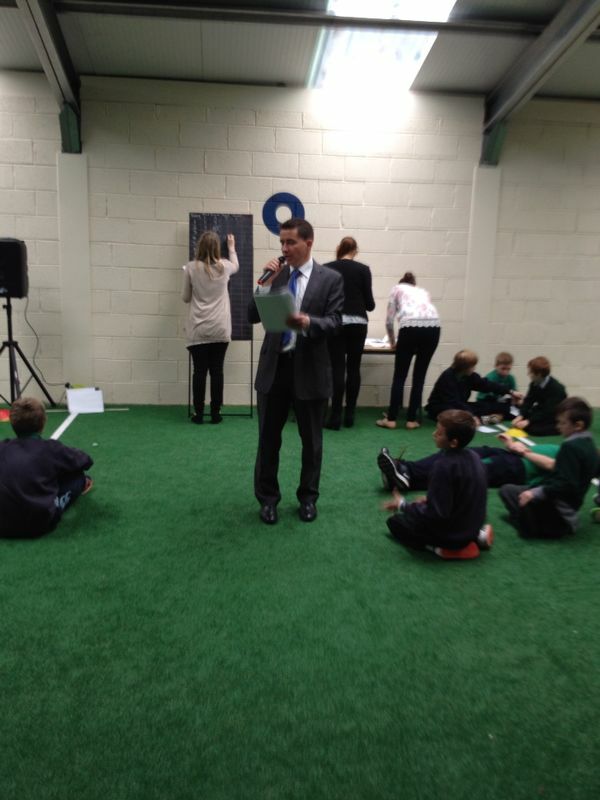 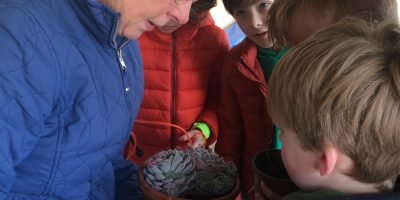 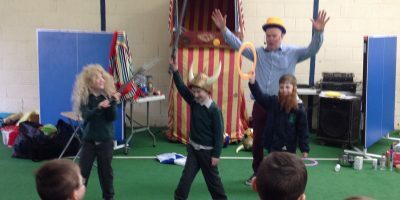 Click here for more Maths Week photos.